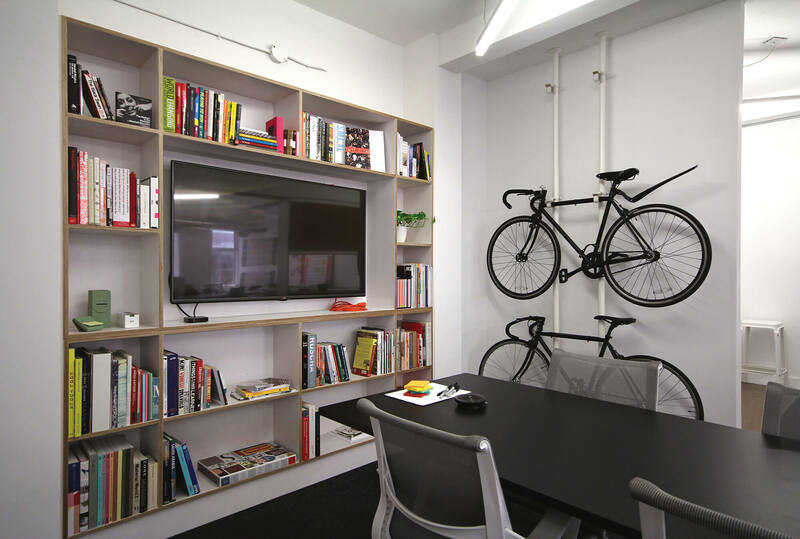 Frontier is a design office dedicated to purposeful and inspiring ideas. Frontier is a design office. We’re built to deliver an idea: Purpose-Driven Performance. To deliver on this idea, we do a few things. We collaborate with organizations using a process called Purpose Design to help define their core purpose and long-term ambition, then build all the communications tools they need to express that internally and externally. That could be a logo or a website, a product or an environment. We create media to help ourselves and others discover the leaders of Purpose-Driven Performance who are making the world a better, more inspiring place. Finally, we design high-performance products built on socially and environmentally responsible foundations. By designing, manufacturing, and selling our own products, we understand all the parts of a business in a way that many other design and advertising agencies cannot. We believe this combination of collaboration, content, and product development helps us create better companies, stories, and products because we understand how businesses work from idea to execution. Dedicating ourselves to a big idea instead of a single product means we are really good at figuring out how to get lots of things done. And it means we have a pretty deep toolbox. Our capabilities include content, brand strategy, communication, digital, graphic, spatial, and product design. We create exhibits, websites, products, logos, names, and films that all express an organization’s core purpose. Paddy has over fifteen years experience in branding, strategy, and design. He has degrees in literature and architecture and has worked in research, architecture, advertising, and design. His clients have included The New York Jets and Giants, Coca-Cola, McDonald’s, Unilever, the Holy City of Mecca, Li-Ning, and the Fogo Island Inn in Newfoundland. He is an award-winning writer and filmmaker and has spoken at several design conferences as well as at Brown, Harvard, and the Central Academy of Fine Arts in Beijing. Paddy was formerly the SVP Design Innovation and digital creative director at Indigo Books and, prior to that, executive creative director at Bruce Mau Design. 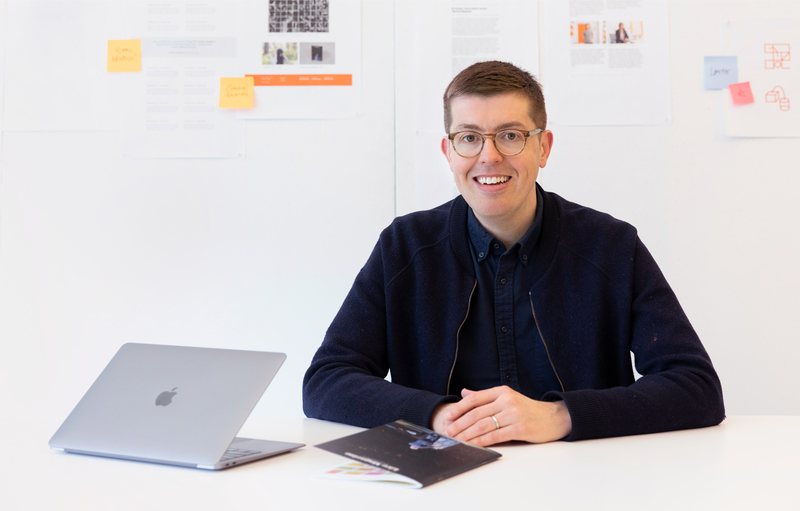 Paul has ten years’ experience designing and leading teams in creating visual identities, architectural environments, publications, websites, and campaign initiatives for a wide range of clients. 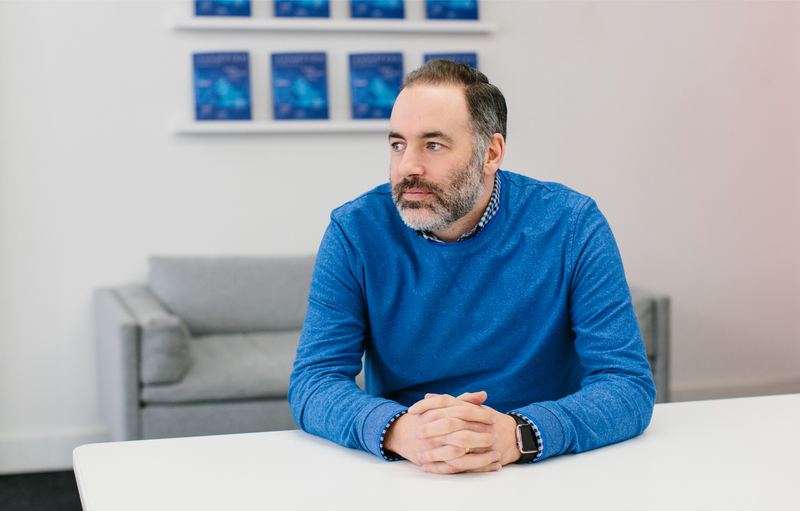 As design director at Frontier, Paul provides creative and organizational leadership across all design projects while also fostering relationships with clients and collaborators. 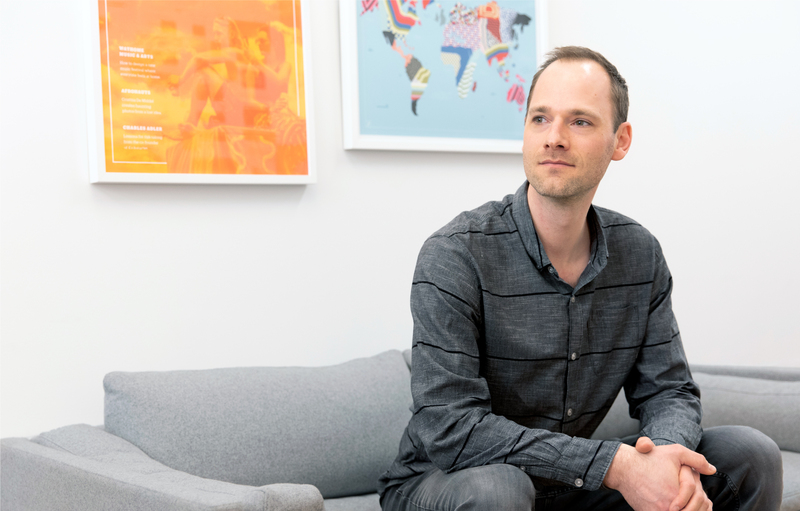 Prior to Frontier, Paul contributed to teams at Roundabout Studio as an architectural designer, Bruce Mau Design as an environmental and graphic designer, and Indigo Books as the senior design lead on brand and innovation. He is a graduate of OCAD University and continues to guest lecture and critique for the Faculty of Design. Paul also studied Culinary Arts at George Brown College and is still honing his skills as a sourdough bread baker. His work has been featured as part of Nuit Blanche and the Gladstone Hotel’s Come Up to My Room exhibit in Toronto, as well as part of the Pratt Institute’s Design Incubator in Brooklyn. 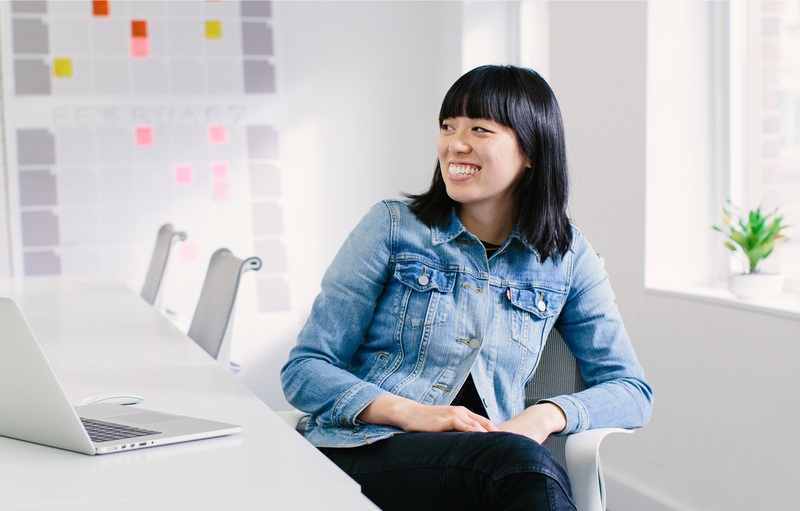 Jessica helps drive design research and communications as a senior designer. 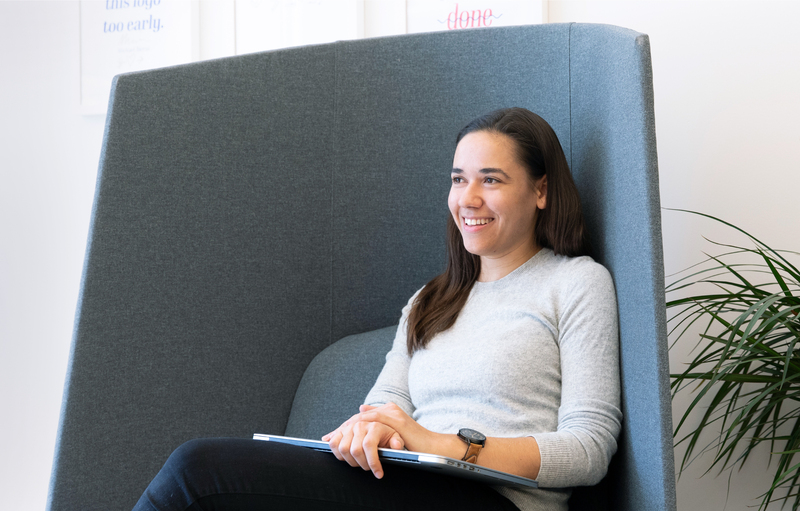 Passionate about crafting thoughtful and engaging experiences, Jessica motivates and leads the team to visualize new worlds for clients big and small. In addition to Frontier, Jessica is a Creative-Professional-In-Residence at OCAD University, where she mentors students and alumni. Previously, Jessica was lead designer at Design Exchange, where she was responsible for creating and visualizing exhibitions and museum communications. She has also worked on teams at ERA Architects, Indigo Books, and Bruce Mau Design. Tristan helps organizations figure out who they are and where they want to go, translating research into strategic ideas and visual expressions. He’s passionate about working with ambitious clients to create brands that stand out in the world and mean something great to those they represent. Presently, Tristan is also the ticket curator for Trampoline Hall, a monthly lecture series now in its fifteenth year. Prior to Frontier, Tristan was a designer at Bruce Mau Design. He is a graduate of OCAD University, where he was awarded the Medal for Graphic Design, and has exhibited work at Gallery50 and East Room in Toronto. Hannah is a project and operations manager at Frontier. She cares most about making our team and collaborators feel safe and excited about exploring new ways to bring their visions to life. Hannah sets up projects, keeps them on track, and makes sure to celebrate studio successes, whether big or small. She’s known to bring the calm to the office. Prior to becoming a project manager, Hannah was a cake maker and a fashion director. She’s worked in retail, advertising, and marketing at companies like Novelle Bridal, Publicis, and eBay. 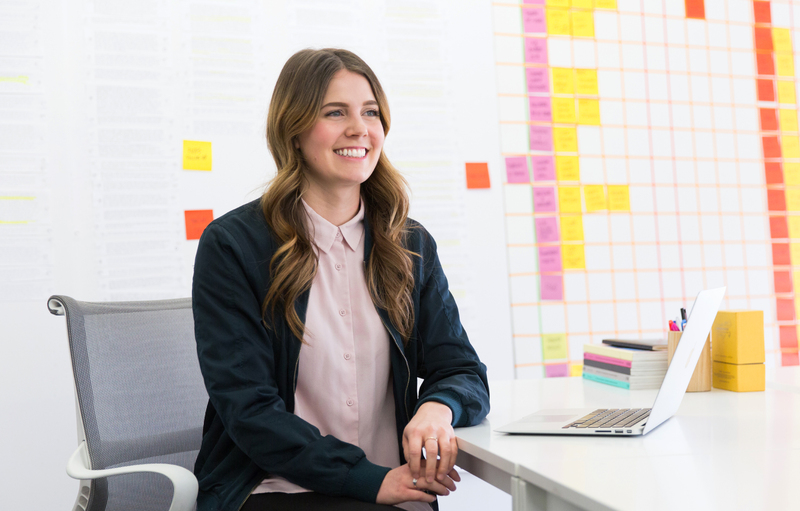 Hannah draws from this diverse background to solve unique challenges. Hannah is a graduate of the University of Alberta, where she studied Human Ecology—a multidisciplinary field that explores the relationships between people and their environments—focusing on clothing, material culture, marketing, and design. 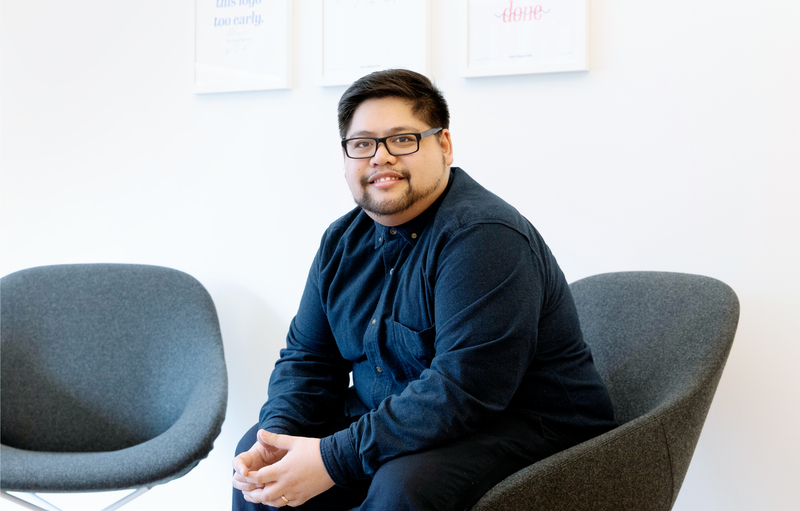 Mark is a front-end developer and product designer whose areas of focus include creative coding, user experience, optimization, and web typography. Mark helps bring concepts to life in digital space, often coding dynamic activations of visual forms. His joy comes from creating exciting experiences on the web using interactive and animated elements. Prior to Frontier, Mark designed at The Globe and Mail, Taxi, and Urban Strategies. He is a graduate of OCAD University. Brian leads Frontier’s media projects and serves as editor and copywriter for the company’s collaborations. He is an editor, writer, and independent curator with nearly twenty years’ experience in the fields of contemporary art and photography. He was most recently executive director of Gallery TPW in Toronto and, before that, curator of photography at the Cincinnati Art Museum. Earlier in his career he worked as an editor at Aperture Foundation and at Artforum. He is the author of the 2016 book Kentucky Renaissance: The Lexington Camera Club and Its Community, 1954–74, which accompanied an exhibition at the Cincinnati Art Museum, and the forthcoming Art’s Biggest Stage: Collecting the Venice Biennale, 2007–2019, which accompanies an exhibition at the Clark Art Institute. Phillip is a graphic designer with a specialty in environmental graphics and signage systems for wayfinding. Working with creative teams, clients, fabricators, and end-users from the design and planning phases through to realization and implementation, Phillip creates work that is compelling, effective, and accessible. 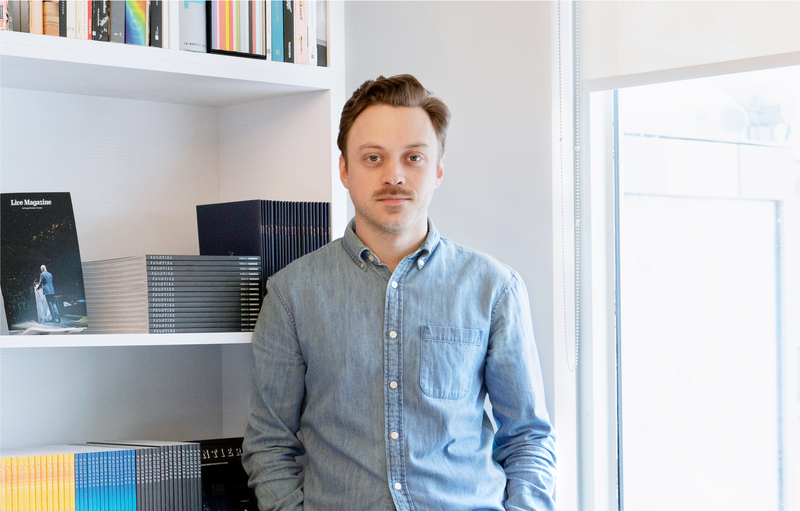 Phillip is co-chair of the Toronto chapter of the Society of Experiential Graphic Design. As a graphic designer and avid photographer of the everyday, he draws inspiration from a life lived around the world, from Germany and South Africa to the United States and now Canada. His experience includes working with a variety of specialty consultants and as an integrated member of graphic, architectural, and interior design teams. He has worked for clients in healthcare, education, cultural, and corporate environments. Sarah is an ever-curious multidisciplinary designer with experience in branding, editorial, digital, and product design. Her approach with clients is to learn, distill, and visually communicate their essence through branding and editorial design. She is enthusiastic about collaborating with organizations that instigate change and advocate for something greater than themselves. Prior to Frontier, Sarah worked as a designer at The Felt Store for five years and as a freelance designer in Toronto with companies such as The Globe and Mail, RallyRally, and Van der Pop. Outside of studio work, Sarah has championed outdoor experiences in the Canadian landscape through initiatives such as Outdoor Studio, and continues to support environmental activism through organizations such as Friends of Temagami. Originally from Trinidad and Tobago, Sarah immigrated to Toronto in 2006, where she studied in York/Sheridan’s Bachelor of Design Program. 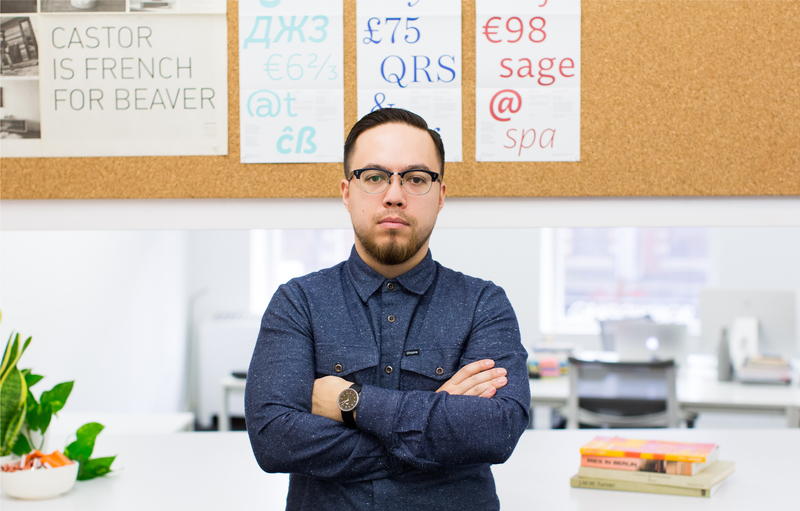 Nicholas is a designer whose areas of focus include digital design and visual identity development. He loves working with people, sharing ideas, problem solving, and watching projects come to life. Hailing from Nova Scotia, his influences include studying nature, and playing music. 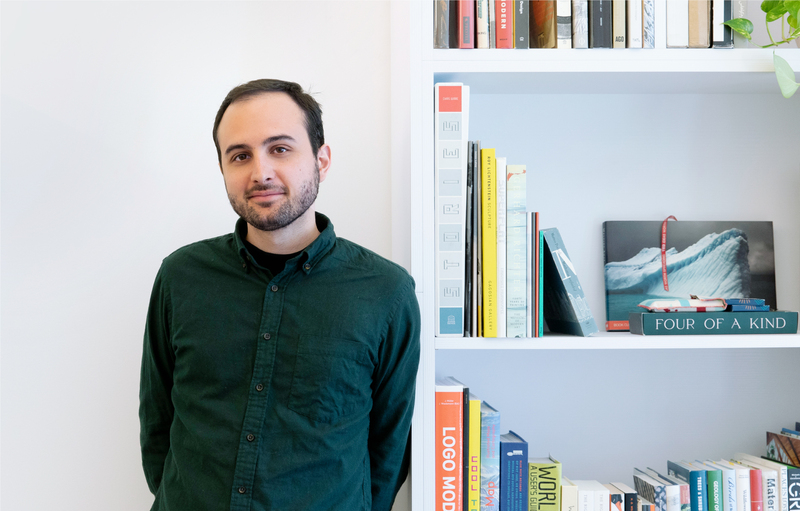 Nicholas values the power of communication—how design can be a voice or vehicle for any message. Prior to Frontier, Nicholas was a designer at the Toronto International Film Festival. He is a graduate of NSCAD University. We’re always looking for great people. Send us a note at hello@frontier.is along with your résumé and portfolio (if applicable). Please, no unsolicited drop-ins or phone calls.